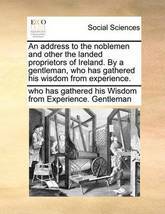 An Address to the Noblemen and Other the Landed Proprietors of Ireland. 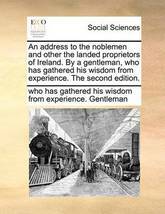 by a Gentleman, Who Has Gathered His Wisdom from Experience. the Second Edition. 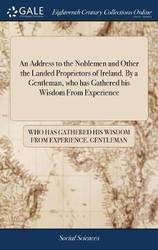 An Address to the Noblemen and Other the Landed Proprietors of Ireland. 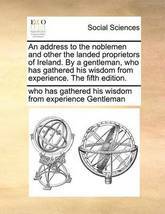 by a Gentleman, Who Has Gathered His Wisdom from Experience. the Fifth Edition.